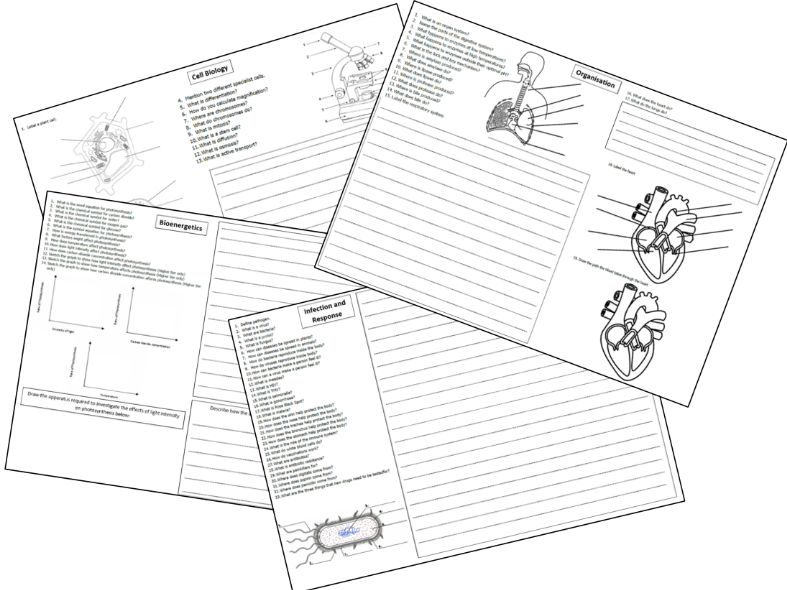 Revision sheets for the units in paper 1 for GCSE biology and GCSE combined science trilogy: cell biology, organisation, infection and response and bioenergetics. Organisationa and bioenergetics are the same for both courses. Cell biology and infection and response are separate worksheets due to additional content. 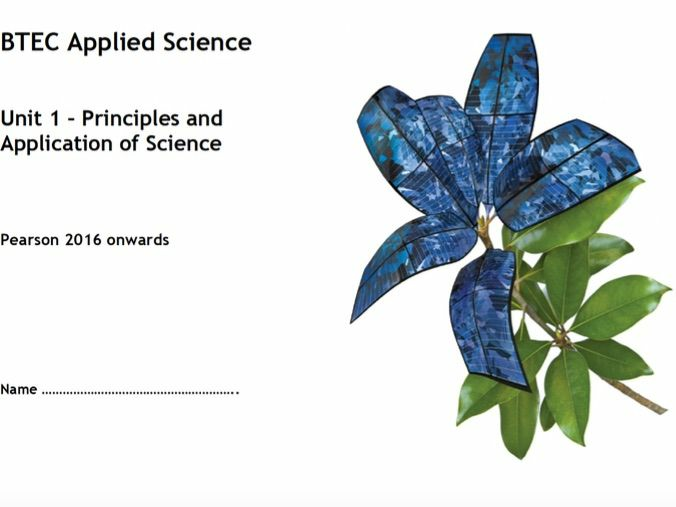 This workbook covers the specification and additional guidelines for the chemistry section of Unit 1 - Principles and Applications of Science I of the BTEC Applied Science course being taught from 2016 onwards. It can be used as a revision tool, to aid note taking during lessons or to catch up missed lessons. I will add biology and physics sections as I teach that part of the unit so check back later in the year. Worksheets ideal for revision. One for trilogy and one for separate sciences. 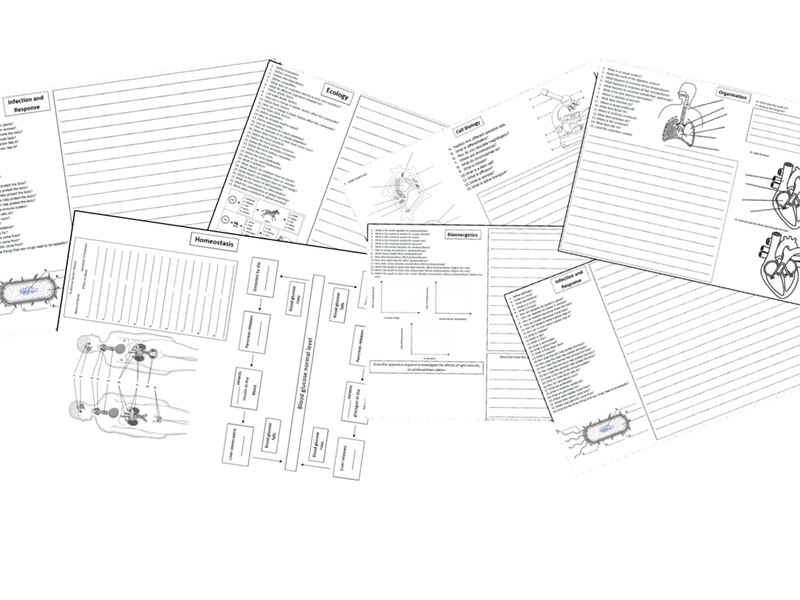 Revision sheets for the units in paper 2 for GCSE biology and GCSE combined science trilogy: homeostasis and response, inheritance, variation and evolution and ecology. All worksheets have one sheet for trilogy and another for separate sciences. This document contains links to all relevant Primrose Kitten AQA GCSE Biology, Chemistry and Physics videos. Handy to email to your GCSE students! This is a resource aimed generally at slightly lower ability students but can be used for any student who’s literacy levels are lower than expected for their age. Suitable for GCSE students from all exam boards but predominantly AQA. Worksheet ideal for revision. Suitable for trilogy and separate sciences. Revision sheets for the units in paper 1 and 2 for GCSE biology and GCSE combined science trilogy: cell biology, organisation, bioenergetics, infection and response, homeostasis and response, inheritance, variation and evolution and ecology. 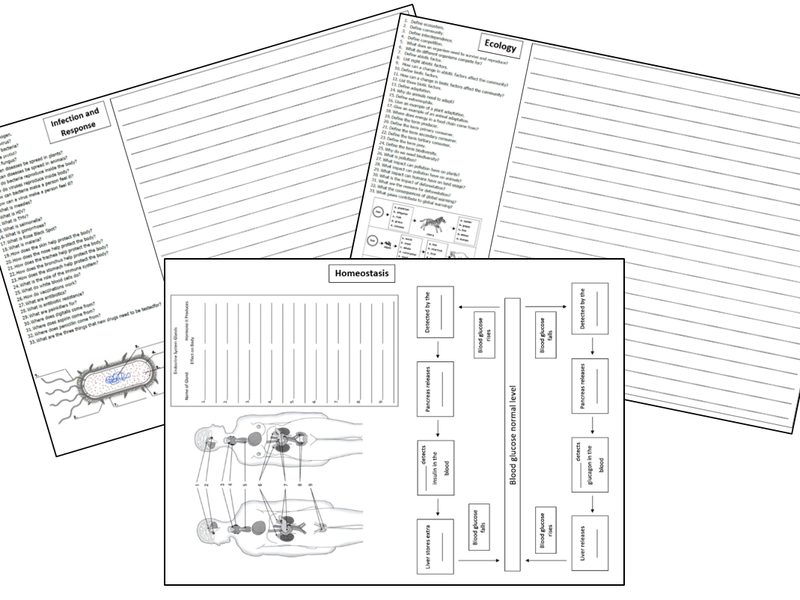 Cell biology, infection and response, homeostasis and response, inheritance, variation and evolution and ecology have one sheet for trilogy and another for separate sciences. 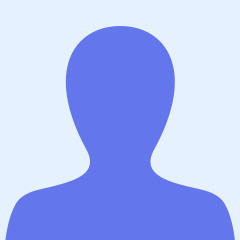 Bioenergetics and organisation are the same for trilogy and separate sciences.